Dreamy, trippy, spikey alternative grunge guitar band. Chosen to play by Sly Antics – indie rock n roll as it should be. Songs to get you up and moving. Heart thumping, jaw dropping, spine tingling funk rock band from Leeds. Acoustic-led (but loud) alt-rock. Inspired by everything from Biffy Clyro and Twenty One Pilots, to Laura Marling and Ed Sheeran. FloodHounds is a swirling explosion of bluesy fire, tearing its way through the UK’s packed and sweaty music venues. 90s influenced rock band with catchy riffs, punchy bass, memorable drums and soulful lyrics. Indie rock. Think Catfish and the Bottlemen, Circa Waves, VANT, RedFaces, The Time Sellers, The Amazons and Viola Beach. Alternative rock Chesterfield style. This is guitar music with a Biffy Clyro edge to it. Sheffield forged grunge/noise pop band with a growing reputation. Selected by Sly Antics – singer/songwriter from Manchester. For fans of John Butler Trio, John Mayer and Newton Faulkner. Think Queen meets Foo Fighters. These boys are a must-see live band. This is the band’s final ever live performance. This is deep, dark, heavy and very classy gritty, dirty, seedy, grungy rock from something of a Sheffield super group. Riff rock from Sheffield. Think RATM, Faith No More, RHCP, Alice in Chains, Smashing Pumpkins, Pearl Jam and Nirvana. We can’t possibly tell you anything about our secret guests! Indie guitar rock n roll and a firm favourite, ‘echoes of The Beatles, Neil Young and early Oasis. Catchy as hell’. Wonky Garage grunge rock. Vetno are a staple diet of any Sheffield grunge loving gig goer. Eat it up. Sheffield’s most-loved pop punk band bringing a whole new level of fun to the proceedings. The funky funktopus rolls into Sheffield to deliver some fat grooves and good vibes. 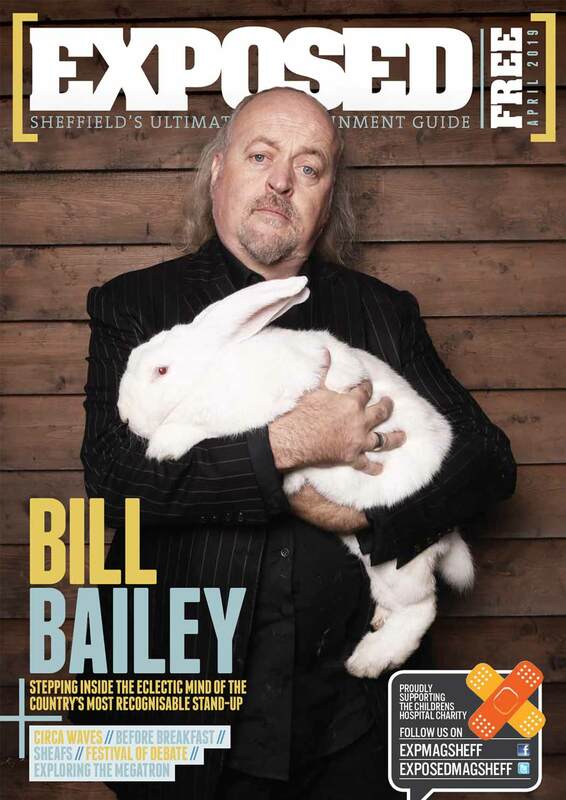 Bursting onto the Sheffield scene in style. Somewhere between 60s psychedelia, late 70s punk and modern indie. Exquisite acoustic songs from one of Sheffield’s most well-known and well-loved musicians. Scunthorpe heroes with influences from the biggest guitar bands – think Oasis, Manics and Verve. Three-piece Indie band from Sheffield, producing original sounds with catchy riffs and edgy solos. Selected by Sly Antics – gloomy guitar-laden indie pysch rock three-piece from Manchester. Artisan of country-laced rock and soulful grooves. Taking his cues from acts as diverse as Fleetwood Mac, John Mayer, and D’Angelo. Think The Beatles, The Kinks, The Stones, The Jam, The La’s, Led Zeppelin, Oasis, The Who, Ocean Colour Scene and Cast. “Lou Reed meets Brian Eno.” “Best thing I’ve seen in 30 years.” Record Junkee’s favourite band and quirky as hell. A must-see show. Energetic indie pop rock quintet from Nottingham bring their own pack of playing cards to the table. Alternative synth pop New Wave from Sheffield ‘taking Electro Pop to the stars’. Heavily inspired by the 1980s.